How to make your own paste for course/carp fishing in just a few minutes. Extras can be added along the way for extra effect. So how do you choose which ingredients to use, which ratios of these to use and why? The first step is commonly practicality; can you put these things together into a dough or paste, to produce a boilie mix that will bind together and roll well? To produce a boilie from various ingredients without instructions on ratios of each ingredient takes some preliminary testing. So it is wise to start by using one large hen’s egg (or similar), mixed with a small amount of any liquid ingredients, to confirm that your test dry ingredients when mixed actually bind and roll well into balls to make boiled baits. If not, add more egg, a small amount of vegetable oil or ‘binding material’. Ideally start by putting the carp’s dietary needs first when making bait, and begin with the bulk ‘whole protein food’ content of ingredients at 25 % to 50 % of your preliminary 100 % dry mixture. Such examples used could be combinations of some of the following: caseins, lactalbumin, fish meals, meat meals, whey protein. Hen’s eggs Egg powder Whey gel Bread crumbs Full fat ‘yellow’ semolina Maize meal Corn starch Potato starch White ground rice flour Wheat flour Wheat gluten Potato gluten Full fat soya flour Ground seeds Ground ‘Sluis CLO’ Ground ‘EMP’ Ground ‘CeDe’ Ground ‘Red band’ pigeon seed mix Beef gelatin based binding products. Some are used at much lower levels, e.g. 0.2 % to 6 % ; e.g., hydrolyzed fish protein, hydrolyzed spirulina extract, squid extract, anchovy extract, green crab / lobster / scallop / shrimp / oyster / baby clam extracts, green lip mussel extract etc. 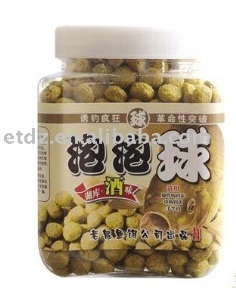 These are also effective as most are extremely quickly and efficiently digested with immediate benefits that the carp can feel. I prefer to fresh freeze baits, or ‘air dry’ them naturally, or preserve them in a flavor / amino acid / supplement compound, rather than using a chemical preservative in the bait like ascorbic acid. Carp require oils (essential fatty acids) but only in small amounts e.g., up to 5 % of your total dry mix. Oily fish meals and shellfish meals are already rich in these, as are flax seed, hemp seed, sesame seeds, salmon oil, cod liver oil, crustacean oil, etc. To meet minimum carp dietary requirements try adding perhaps around 1 milliliter to 3 milliliters of a good quality nutritional oil per egg, (maximum,) depending on oil level in the dry mix. Carp love to crunch food and in doing so send out all kinds of feeding signals to other carp, allowing attractive food particles to pass out of the gills. Nutritional ingredients can be used for this effect, e.g. bird foods – ‘Robin Red’, ‘Red Factor’,‘Nectarblend’, Ground ‘Red Band’ pigeon food, prepared ground mixed nuts and seeds; prepared tiger nuts and hempseed, millet, egg – biscuit myna – bird rearing food, niger seeds, ‘RRR’, ground birdseeds ‘Ce De’, ‘PTX’, ground insects, dried larvae, coarse kelp meal etc. Also used are crushed oyster shell and eggshell. These also allow bait to release attractors faster, putting more out to attract carp quicker and more effectively, especially in lower water temperatures. They also help the fish to eat more bait by helping them pass it through their systems faster. Test each individually because their properties vary. Use, e.g., 0.5 ounces per pound for shell through to e.g., 2 ounces per pound of course kelp meal, to e.g., 3 ounces per pound of ‘Robin Red’, ground birdseed e.g., 6 ounces per pound, up to 8 ounces per pound of ‘Nectar Blend’. Other ingredients are used to change resilience, texture, attractor leak-off, e.g., milk powders, whole milk, ‘Vitamealo’ at, e.g., 4 ounces per pound), or in a very soluble bait to bind it ‘tighter’ e.g., whey gel at 3 ounces per pound, or make it harder, e.g. blood powder at e.g. 4 ounces per pound, egg albumin at e.g., 2 ounces per pound, whole egg powder at, e.g., 3 ounces per pound, or whey gel, e.g., 1 ounce per pound. To avoid silt / to make baits more buoyant, include ingredients like sodium caseinate, e.g. 5 ounces per pound, or shrimp meal, e.g. 3 ounces per pound or krill meal at e.g., 3 ounces per pound. Vitamins and minerals are great attractors too, being essential for carp health and growth. Many of the above extracts supply these, but they leach out of bait very fast. Adding black strap molasses, betaine hydrochloride to the mix and as liquid soak really help. Other ingredients can be added in very low levels to enhance your bait, or give it an ‘extra special attractive note’ e.g., 1 teaspoon per pound, of powdered taste enhancer, sea salt, or sweeteners like sodium saccharin and fishing company proprietary brands liquid and powdered sweeteners with no ‘chemical back taste’. When you mix new ingredients together always test your mixture first. Try using one egg as a binder, to see if you have your ratios right for practical binding and rolling purposes. Always prepare your wet ingredients first and add dry ingredients to the wet ones gradually as you become accustomed to the ingredients you’re using, this part will become simple! You can refine your bait’s nutritional content as you become familiar with getting practical bait together that works and catches carp. You will soon find it’s very easy to make all kinds of baits, and your secret bait armory will fill you with confidence and your photograph albums with big carp! 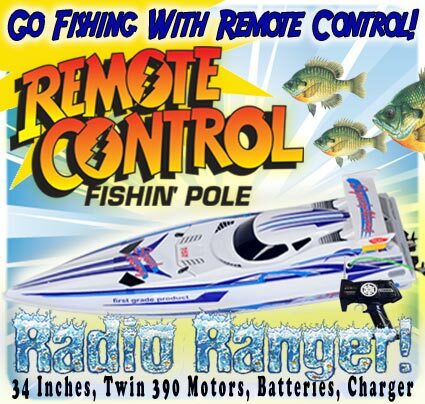 Home Page > Sports and Fitness > Fishing > How Much Carp Bait Should I Throw In? How many boilies should you throw into a lake? Funny, isn’t it? The most simple of things can be the most important. Put too little bait in and the fish might swim right past. Put too much in and you risk overfeeding the swim. So how much is too much? It’s tricky really, different situations may warrant different amounts, and the time of day, time of year, prevailing weather conditions, fish stock, angling pressure and a whole host of other factors may all influence the amount I’ll put in. The one thing you can be sure of is that you can always put more bait it, but you can never take it out, so it often pays to err on the side of caution, at least until you can suss out what’s going on. The main thing that will influence the amount I put in will be the length of my stay. If I’m only there for a few hours, I want to maximise the chances of the fish picking up my hookbait, so the more freebait I put in, the less the chance any passing fish will pick up my hookbait among the first. As such, on short sessions I’ll often just put out a six bait PVA stringer, or cast out a bait and throw ten or twenty baits close to the hookbait. If it’s a water I fish regularly, and I know the fish like a bit of bait, then obviously I’ll put more in, and if it’s a spot I know stands a good chance of producing, then again I might add more bait, and the longer my intended stay, the more bait I will introduce. So, for example, if I know I’m on for 24 hours and baiting a spot in the summer which I know stands a very good chance of a fish or two, I might start off by introducing as much as half a kilo of bait. It’s worth adding that others I know might add three times as much, it’s all about having confidence in your own approach; some like a lot of bait, others prefer to start off small, but as I say, I’d rather add more based on results, than put too much in right at the start and kill my chances. That said, there are times where I’ll chuck it in by the bucket load! One of the best ways to increase your chances of catching is to pre-bait. By regularly introducing feed to an area you are fishing, say two or three times a week, then you will get the fish used to finding a regular supply of free food in that spot. Then, when you drop in and fish it, you can put less bait in but be confident the fish will visit the area regularly as they are used to finding food there, yet when fishing it you’ve only had to put a small amount out. Whenever logistically possible, I’ll pre bait waters I’m campaigning on as you can literally add half as many fish again to your tally. Likewise, there are certain waters, at certain times, where based off previous experience you know they’re going to have it! There is one water I used to fish down in Kent which I only fished perhaps once a year, but when I did, I knew they really liked my bait. As my sessions were usually three or four nights, I’d really pile it in at the start, with several kilos going in one each spot just to start, then as soon as the fish started coming to the bank I’d keep topping up with more two or three times a day. If it’s a tricky water where takes are few and far between, I’ll reign back on the freebait, and in some cases may just put one single hookbait out, especially in cold weather, so it’s all about trying to read the water, the conditions and the pressure at the time of your session. As a final thought, you should also give a thought to what may have just occurred before you arrived – is it possible somebody has piled a load of bait into the swim before you arrived? I’ve fished waters in the past that used to get hammered with bait, so I’d often drop in and fish singles, or small stringers to pick up the fish whilst all around sat with silent buzzers. At the end of the day there’s never one perfect amount, but there’s often a perfect starting point. My advice would be to keep it light and build as the fish come to the bank. Fishing is a very serious activity for a good percentage of world population. Even in the U.S, people are so much into fishing that some of them do it like pros. Every job cannot happen successfully without having the right tools and equipment. Thus, even an aspiring fisherman has to have the right equipment. Carp fishing bait is something which is used to attract the fishes to the equipment (a rod) being used to catch it. As Carp fishing is increasing in popularity, there are upcoming lots and lots of competitions all around the world. These are sprouted all over the world where there is great car fishing business going on. These fishing baits can be either small insects such as worms or maggots or handmade baits such as boilies. Carp Fishing Bait Recipes And Secrets To Drastically Improve Your Readymade Baits! Think about it – how many times do you read a fishing magazine only to be pounded with yet more biased nonsense about such and such a bait and method the masses are using?! Here are some unbiased tips that do not promote any company that are highly innovative, extremely well proven for big fish – but will be new to your carp! Read on to multiply your big fish catches right now! Fishing is popular for business and sports both. Carp fishing is popular among million of people. To fish for Carp, fishing bait and carp fishing boilies are widely using in UK and other destinations. Today I’m going to pull back the curtain on some killer Japanese bass lures that can give you an inside edge on catching bass. No matter what the conditions are like in your area… I bet you can find a lure and a technique that will create one of those “magical” days of fishing we all dream about…. While I very first ran across this amazing fishing useful resource, my initial ideas had been, ol no ?- not one more replica of the way to boost my fly fishing capabilities to land the trophy fish of my dreams. You realize the tale. Anyhow in opposition to my greater judgment I bought the useful resource and from 1 fisherman towards the other, I am glad I did. Ice fishing for bluegill can be a really well-known wintertime exercise for getting outdoors and stretching your legs. Listed here are some tips to get a blast catching bluegill to the ice. The tackle and gear is getting far more advanced each and every 12 months as well as the time invested out to the ice could be extremely motion packed and entertaining. My Ice Fishing Tips Review – Scam or Any Good? Ice Fishing Tips is really a activity which has been expanding in reputation lately. That is because of a lot much more media exposure. You’ll find now web sites, magazines, as well as tv reveals committed to this kind if fishing. What helps make it exclusive is, as its identify implies, you might be actually fishing via the ice. Choosing The Best Tactical Folder – What Should You Look For? If you are trying to decide what kind of tactical folder to buy, there are some things you must consider. Knowing what your ultimate goal is for carrying a folding knife will help steer you in the right direction when making your decision. Although you may end up making more than one purchase over time, you want to make sure you buy what is appropriate for you. Homemade Carp Fishing Baits With Irresistible Rose And Sweet Rosehip Flavours! Many anglers know about the great success of using alternative flavours and in particular natural flavours rich in bioactive components that turn fish on! Here are some unique suggestions on how to create your own rose and rosehip flavour baits and to reap loads of sweet rewards in cold water or warmer conditions! Homemade Carp Fishing Bait Secrets Of Winter Success Revealed! If you are like most anglers who complain about how hard winter fishing is then remember that much of your lack of success is not anything other than your bait not working at 100 percent in cold temperatures because 95 percent of boilies are totally inefficient in low temperatures! But you have the power to change this! Have your eyes opened right now and multiply your winter catches hugely by reading on right now! Night fishing for carp is extremely effective. These wary fish often drop their guard in the hours of darkness. With a bit of preparation, you can be a fully-accomplished night time carp angler. Home Page > Sports and Fitness > Fishing > Homemade Carp Fishing Bait Secrets Of Winter Success Revealed! This point about catching fish just in winter but at any time of year is so vitally important yet the vast majority of baits do not seriously take this into account! Baits such as boilies work only as well as the substances within them can join the water column and disperse in as high suitable concentrations as possible to stimulate changes in fish behaviours that lead to feeding! Water is denser in low temperatures and this means that substances from your bait not only leach out of baits far less, but disperse far less efficiently. For this reason a huge proportion of the potential of your baits attraction and stimulation is simply never going to even be detected by fish at all! Cold water baits and their component substances absolutely need to be chosen for maximum cold water effectiveness so that baits leach out these substances in maximized concentrations that are totally guaranteed to disperse a widely in the water column as possible to stimulate and draw fish to your baits! If you put an orange into water what gives out more juice; an orange that has its skin on, or an orange that has been peeled and had some segments punctuated? Obviously the orange with the skin on is hardly going to release anything even though it contains the same levels of attraction as the peeled orange. My point here is that any bait that is heated that contains coagulated proteins is going to act like the orange with the skin on it. Heated coagulated protein is the most significant enemy to you catching carp using boilies in winter, and very many heated and extruded pellets are also equally as handicapped because of this and very seriously under-maximized. You get the point right? Just because no-one has come out and stated this incredibly important point before does not mean it is not massively valid to everyone using heated boilies and I do mean anyone! Why on earth use baits (usually heated readymade baits) that only work at maybe 25 percent effectiveness in cold water (if you are lucky) simply because they are heated. And why do the majority of anglers use boilies in winter? The answer is mass ignorance, because the bait industry wants to sell boilies because that is what they are set up to do and because that is what anglers expect to use. It is an insane loop of inefficiency. Just how many anglers realize that you can make hard pastes that leak incredible concentrations of soluble substances that no boilie can ever achieve! You can make paste baits that actually leak off a massive proportion of their soluble substances while leaving behind a matrix of less soluble substances that remain hard enough and intact enough to give fish something to pick up along with your hook! The vast percentage of anglers fishing in winter are their own worst enemies because they simply do not get it; bait substances stimulate fish and when they cannot enter the water column in maximized levels of concentrations in denser cold water then you are wasting horrific amount of time! If you want to catch more fish in low water temperatures, do not bother buying readymade boilies and pop-up baits that have been boiled! Do not bother taking the surface skin off them. Do not bother soaking boilie or heated baits in dips, glugs or soaks. You are still using an orange with the skin on because heated baits are coagulated and sealed through the massive proportion of the matrix of the bait no matter how loose textured that bait may be it is seriously under-maximized for cold water! Anglers who use maggots in winter will know that after the initial burst of ammonia has been excreted by shocked maggots entering the water column, the only significant thing left to attract fish is movement sounds and vibrations. But even then, after a period of immersion maggots metabolism slows and then maggots can then be not much better than using a plastic maggot with zero natural chemical stimulation or attraction whatever. Maggots can be out-fished by use of various reactive substances within highly soluble paste baits because such baits are actively dispersing attraction well beyond the period maggots have lost any significant chemical attraction and movement! The mistake that anglers over decades have made in winter is use boilies that are too large for the appetite of old water fish. When I say that I mean the vast majority of carp anglers over the past 30 years at least have used heat coagulated under-maximized baits of over 8 to10 millimeters; think about it and test bait sizes your self! Using a quarter of a large boilie is going to be far more effective than using a whole boilie, but if it is a boilie then you have still lost a massive proportion of possible stimulation and attraction not dispersing into the water column! If you are brainwashed by the advertorial magazine articles enough to think that a dumbbell boilie is any better than round boilies now that carp are so well aware of them do yourself a favour if you really want to catch more fish! Think about it! An oddly-cut third of dumbbell bait will work far better than a whole bait for so many reasons. Wary fish sort baits to the degree of blowing whole intact baits out of the way of free feed small pellets and bait fragments and chopped bits of baits. This point is so incredibly profound and powerful yet the bait industry keeps making out that boilies are so wonderful for winter and nutritionally optimized for limiting amino acids and digestion potential etc all the while they are sealed and massively under-optimized by heated proteins. Such baits sit intact and fish easily sort out which baits are whole, which baits are fresh and dangerous, which baits are soft and washed out and safe, and so on. What do you think is more likely to fool an extremely wary fish, a half a boilie that does not give when mouthed or a paste bait that actually changes it shape when mouthed? Anglers dominant use of whole boilies (and related cylinder shaped heated pellets) train fish to be scared of whole round and dumbbell baits whether sinking baits, balanced baits or pop-up baits; fact! If you make your own homemade baits do yourself a tremendous favour; avoid heating your baits completely! Believe it or not paste or dough is certainly not necessarily all the same. In fact you can make past baits that last as long as boilies but the difference is that these water soluble baits actually release their components in a maximized way instead of being sealed by any coagulated heat damaged proteins which in fact are a massive part of effective baits nutritional stimulation. I have been testing and researching baits full time for the past 6 years and in no case have ever found a readymade boilie (from any company) or any homemade boilie recipe (even if trimmed and soaked) that can out-fish paste that is designed and optimized for maximum leakage of stimulatory substances in maximum concentrations! Revealed in my unique readymade bait and homemade bait carp and catfish bait secrets ebooks is far more powerful information look up my unique website (Baitbigfish) and see my biography below for details of my ebooks deals right now! What do dwarf puffer fish eat ? What do fish do when they lay eggs? What do fish eat in the winter ? 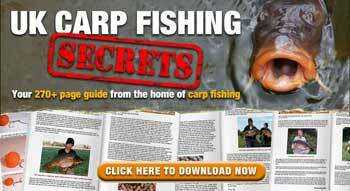 Carp Fishing Books That Seriously Improve Your Big Fish Catches!